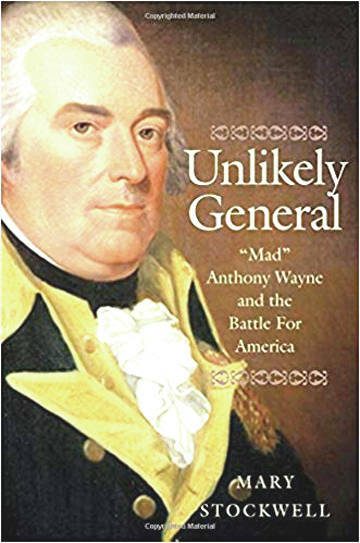 PIQUA — The YWCA hosted historical author Mary Stockwell, who spoke on her latest book, “Unlikely General: Mad Anthony Wayne and the Battle for America,” during the YWCA Monthly Luncheon Series on Wednesday. “It’s really wonderful to be here,” said Stockwell, a retired history professor and chair of the history department at Lourdes University. She has written numerous historical books. Stockwell started off by saying that Anthony Wayne got his nickname “Mad Anthony” for his bad temper, but she added that there was more to the man than his temper, as he was also a “deep feeling” man who was terrified and exhausted of war. Stockwell went over the top 10 things she learned about Wayne, who was originally a farmer and surveyor in Pennsylvania before being elected to the Pennsylvania General Assembly, raising a militia unit, and serving in the Continental Army during the American Revolution. Stockwell also focused on the Wayne’s participation in the Northwest Indian War, or the Ohio War, during which President George Washington appointed Wayne as a general to combat Native Americans in Ohio to gain control of the area so the United States could continue to expand. “Nobody wanted him as a general,” she said, explaining that that Wayne was seen as too daring, too generous to his soldiers, and too scandalous. Stockwell also learned that Wayne was devoted to the United States of America and to Washington. Stockwell said that Wayne, in his letters, wrote about the U.S. being a “de facto republic” at a “turning point in world history” with the American Revolution. In regard to his letters, Stockwell said, “He was the greatest letter writer I’ve ever seen.” She said that once she got past his bad handwriting, his letters were dramatic, were vivid and emotional, and included rising and falling action. Stockwell also noted Wayne’s fear of death, saying that he was more cautious than daring. The American Revolution also took a toll on his marriage and on Wayne himself. “It’s sad to watch it in the letters,” Stockwell said. Returning to the topic of the Ohio War, Stockwell said that Wayne had learned that battling Native Americans was difficult due to their skill. “They are the most skilled warriors on the planet,” Stockwell said. After Wayne was appointed as a commander, he spent two years training an army to combat Native American warriors. One of his biggest problems was that his soldiers were also terrified of fighting Native Americans, so they would practice fighting them in mock battles every Sunday while in training. In July 1794, Wayne and his army begin their march against the Native Americans, and his army battled them on Aug. 20, 1794, along the Maumee River near present-day Toledo. Wayne and his army won the battle — which Stockwell called the Battle of the Rapids and said it was also known as the Battle of Fallen Timbers — and outflanked Native American warriors under the command of Blue Jacket. The Native Americans fled the battlefield. Blue Jacket later surrendered in February 1795, and the Treaty of Greenville was signed in August 1795. Stockwell said that Wayne’s efforts brought the U.S. 10 years of peace between 1795-1805. Wayne died on Dec. 15, 1796, due to his health in Erie, Pennsylvania. 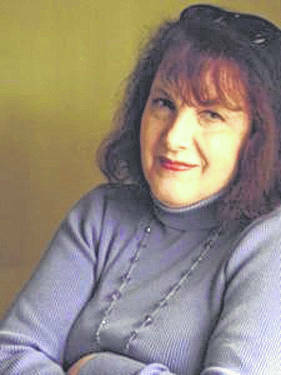 For more information about Stockwell and her books, visit www.marystockwell.com.